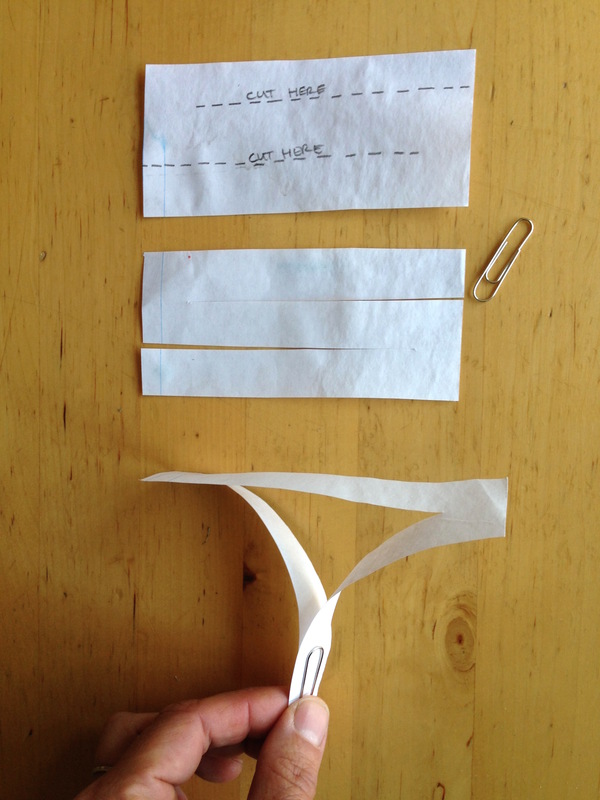 Make simple paper helicopters, which spin when dropped from a height. They model how a maple seed spins as it falls from a tree. 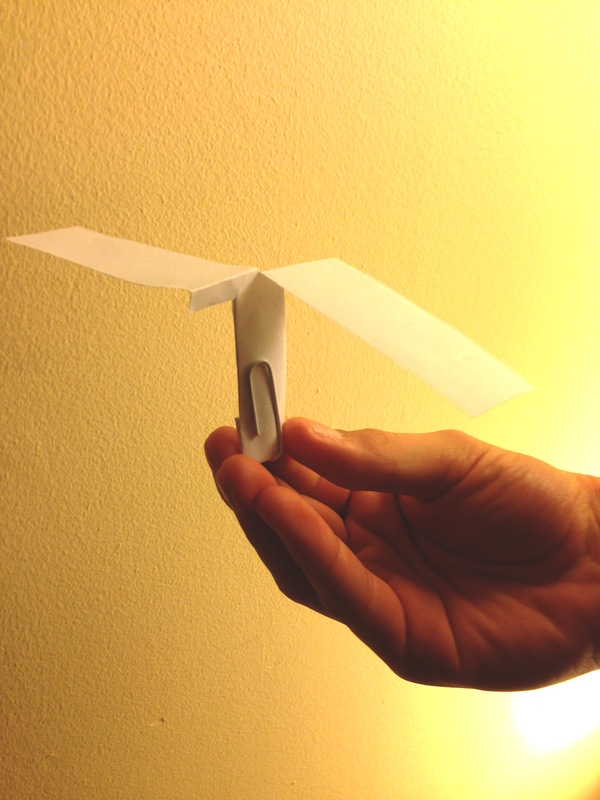 There are many other designs online - search for "paper helicopter". The paper clip holds it together and adds weight. Drop from a height - over a balcony is ideal, but standing on a chair works fine. Watch the helicopters spin, which slows their descent. Optional: discuss how maple, sycamore and other helicopter-like seeds have a similar shape and spin in the same way as they drop from the tree when the seeds are ripe. As they descend slowly, any wind will move them sideways, so that they fall further from the parent tree, and are more likely to find enough sun, water and space to grow into a tree. Experiment with longer blades, more paperclips for extra weight, different thicknesses of paper to find out which ones stay aloft the longest. Optional: add a fan or blow dryer to add wind from the side to see how far they can drift away from where they were dropped.